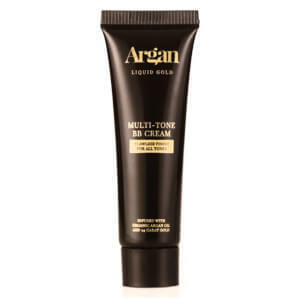 Receive a FREE Argan Liquid Gold Multi-Tone BB Cream 10ml (Free Gift) with every purchase. 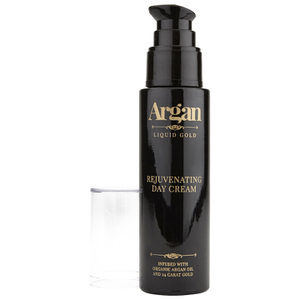 Reignite a natural glow with the Argan Liquid Gold Rejuvenating Day Cream; an anti-ageing moisturiser that works to minimise the appearance of fine lines and wrinkles, revealing a smoother, younger-looking complexion. 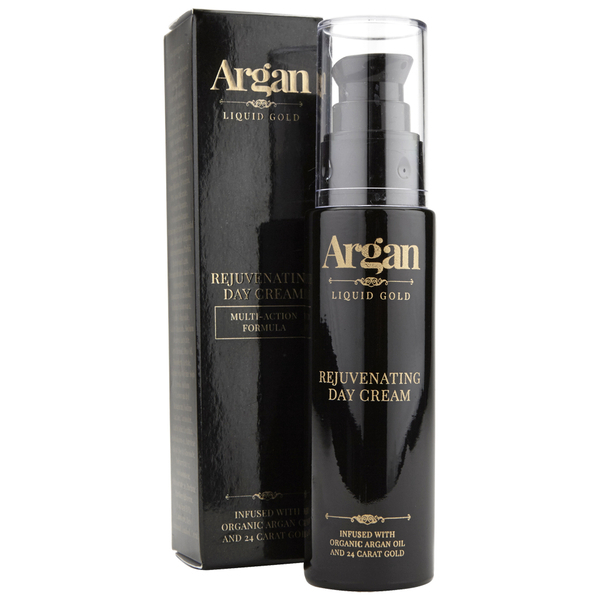 Fortified with organic Argan Oil and 24 Carat Gold, its luxurious, high quality formula absorbs quickly into skin to firm, plump and deliver optimum hydration, whilst brightening and protecting to leave your complexion flawless, radiant and velvety soft. Apply each morning to cleansed skin, using sparingly and spreading with a gentle circular massaging action. Aqua, Argania Spinosa Kernel Oil, Cetearyl Alcohol, Cetearyl Glucoside, Caprylic/capric triglyceride, Nylon-12, Ethyl Ascorbic Acid, Jojoba Esters, Avena Sativa Meal Extract, Squalane, Betaine, Dimethicone, Glycerin, PEG-100 Stearate, Glyceryl Stearate, Cyclopentasiloxane, Plankton Extract, Colloidal Gold, Chlorella Vulgaris, Butyrospermum Parkii, Hydrolysed Algin, Phenoxyethanol, Maris Sal, Oligopeptide-10, Rosmarinyl Glucoside, Sodium Hyaluronate, Caffeyl Glucoside, Gallyl Glucoside, Sodium Stearoyl Lactylate, Cetyl Alcohol, Olus Oil, Tocopheryl Acetate, Glycine Soja/Glycine Soja Sterols, Sodium Carboxymethyl Betaglucan, Sodium Lactate, Carnosine, Lactic Acid, Lecithin, Polysilicone-11, Butylene Glycol, Decyl Glucoside, Polyacrylate 13, Polyisobutene, Polysorbate 20, Parfum, Ethylhexylglycerin, Disodium EDTA, Limonene, Hexyl Cinnamal, Linalool, Citral.